This post was inspired by a recent article about coal mining in India by David Rose in the Guardian about coal mining. In India, people are dying in the streets because of excessive heat caused by global warming, but Rose reports that "...across a broad range of Delhi politicians and policymakers there is near unanimity. There is, they say, simply no possibility that at this stage in its development India will agree to any form of emissions cap, let alone a cut." In other words, coal mining must continue in the name of economic growth, no matter what the human costs. I think it is hard to see a more evident example of the senility of the world's elites. It is, unfortunately, not something that pertains only to India. Elites all over the world seem to be nearly totally blind to the desperate situation in which we all are. On this matter, I have a post written on my "Chimeras" blog that describes how the blindness of the elites is not just typical of our times, but was the same at the time of the Roman Empire. It is a discussion of how one of the members of the Roman elite, Rutilius Namatianus, completely misunderstood the situation of the last years of the Empire. It is our plea of human being that we don't understand collapse, not even when we live it. The 5th century saw the last gasps of the Western Roman Empire. Of those troubled times, we have only a few documents and images. Above, we can see one of the few surviving portraits of someone who lived in those times; Emperor Honorius, ruler of what was left of the Western Roman Empire from 395 to 423. His expression seems to be one of surprise, as if startled at seeing the disasters taking place during his reign. 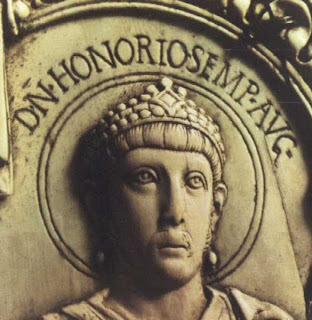 At some moment during the first decades of the 5th century C.E., probably in 416, Rutilius Namatianus, a Roman patrician, left Rome - by then a shadow of its former glory - to take refuge in his possessions in Southern France. He left to us a report of his travel titled "De Reditu suo", meaning "of his return" that we can still read today, almost complete. Fifteen centuries after the fall of the Western Roman Empire, we have in this document a precious source of information about a world that was ceasing to exist and that left so little to us. It is a report that can only make us wonder at how could it be that Namatianus got everything so badly wrong about what was happening to him and to the Roman Empire. The academic publisher Frontiers has summarily fired a group of editors because of their criticism of the editorial policy of the journals they were editing. Not bad for a company that claims to be a "community oriented" publisher. It is not the first time that "Frontiers" appears in the news for a blunder or another. Last year, I gave up with Frontiers on a row over their retraction of a perfectly good paper and, just two months ago, they made another big mistake with a paper dealing with HIV/AIDS. I am more and more convinced that I did the right thing. I guess that there is something basically wrong with the idea that a commercial publisher can handle academic papers in the "Open Access" format. For a profit oriented company, the obvious way to go is to maximize the number of papers published,but that is obviously in contrast with the goal of maximizing their quality. Open access publishing seemed to be a good idea, at the beginning. It is probably still a good idea, but the way it has been implemented is turning out to be a disaster. "Emotions are running high. The editors say Frontiers' publication practices are designed to maximize the company's profits, not the quality of papers, and that this could harm patients. Frederick Fenter, executive editor at Frontiers, says the company had no choice but to fire the entire group because they were holding up the publication of papers until their demands were met, which he likens to "extortion." Here is the abstract of the "Manifesto of Editorial Independence of Editors of Frontiers Medical Journals "
Much to our regret, repeated recent attempts of the medical Editors to discuss crucial issues regarding their position within Frontiers remained unanswered. Therefore Editors of the Frontiers Medical Journals felt urged to write the enclosed Manifesto of Editorial Independence. The manifesto is submitted to Frontiers Media SA as the publisher and owner of the medical journals Frontiers in Medicine, Frontiers in Surgery, and Frontiers in Cardiovascular Medicine and signed by Editors from 14 countries. The manifesto summarizes the Publisher’s continued interference with our editorial independence, documented transgressions, the unacceptable peer review procedures of medical article manuscripts, and the medical publishing regulations of the WAME, the ICMJE, and the COPE. The publisher is required to respond to the manifesto, to implement changes so that the international medical publishing standards are met, and full editorial independence established and warranted. And, finally, the start of Frontiers' long rebuttal. Frontiers today ended the engagement of several Specialty Chief Editors and the Field Chief Editors of Frontiers in Cardiovascular Medicine and Frontiers in Medicine. The Chief Editors wanted Frontiers to change its fundamental principle of distributed editorial decision-making during peer-review and the editors refused communication with Frontiers, some even blocking journal operations, until these demands were met. The future of humankind after the great crash: extinction or the human hive? 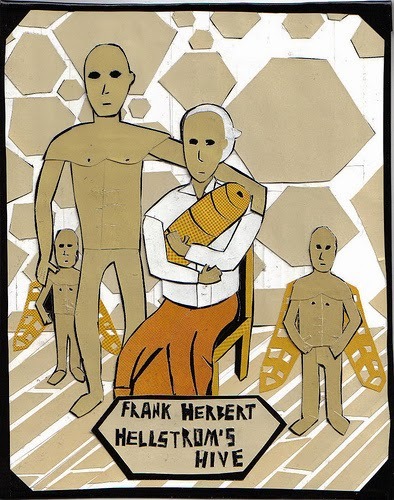 "Hellstrom's Hive," written by Frank Herbert in 1973, is one of the few sound explorations of how an "eusocial" human society could be patterned on the lifestyle of social insects, such as bees and ants. Could this be what the remote future has in store for humankind? It is impossible to say but I, for one, welcome our new hive overlords. I have no doubt that we are heading at full speed toward a major ecosystem crash. We are wrecking the climate, destroying the biosphere, poisoning the seas, dispersing heavy metals all over, creating radioactive isotopes that had never existed in the four billion years of the Earth's history. Whatever is going to happen, it will not be a pretty sight for those who will be alive to see it. But does the upcoming crash mean the end of the human species? That can't be excluded and the concept of "Near Term Extinction" (NTE) even became rather popular, nowadays (*). But the problem with human extinction is not so much how likely it is. The problem is that it is boring. We go extinct and that's it; end of the story. We may even wreck the ecosystem so badly that we would sterilize the whole planet, having everything else dying with us. Even more boring, isn't it? Yet, the future remains a fascinating subject and the remote (or "deep") future is the most fascinating one. So, suppose that not everybody dies in the great crash; what future is in store for homo sapiens? (**). As a first hypothesis, the great crash might not be so great, after all. Maybe it could be just a bump along the way; more or less like the Middle Ages were for Europe. So, humans could emerge into the after-crash future still as a few billion strong and still having most of the technologies we have today. They could have energy from renewables, enough to keep going in the form of an industrial society. But this would imply a capacity of long range planning that we just don't seem to have. More likely, humans would emerge out of the great transition as few, battered, and poor. They would find themselves stranded on a planet badly depleted of the energy and mineral resources they had before the crash. Then, what could happen to them? Much depends on what the after-crash climate will be. After the great warming "pulse" generated by fossil carbon burning, the Earth will stay very warm for a long period - at least some thousands of years. Gradually, it will cool down as the atmospheric carbon dioxide created by the industrial revolution will be gradually - very gradually - re-absorbed into the Earth's crust. It may well take a hundred thousand years to return to the pre-industrial CO2 concentrations. Only at that point we may see again the climate conditions which were typical of an Earth unperturbed by human activities; perhaps with the series of ice ages that characterized the "Pleistocene," the epoch preceded the more stable Holocene - in which we are still living. So, we can say that our after-crash descendants (if any) will live in a warm, possibly extremely warm, climate. But the Earth is big, so it would be possible for them to find areas cool enough that they could survive, perhaps in the far north or even in Antarctica. On the whole, we can expect that, after the great crash, humankind could face several tens of thousands of years of survivable conditions, perhaps even a few hundreds of thousands of years. A lot of things can happen in several tens of thousands of years, but we can be reasonably sure of one: humans will not see another industrial revolution. Fossil fuels will be gone and it will take millions of years, for the ecosystem to create them again - maybe they will never be recreated. Then, the after-crash world will also be badly depleted in mineral resources. Our descendants won't be able to mine much, but they will be able to scavenge what their predecessors had left in the ruins of their cities. They will have plenty of iron from the skeletons of old bridges and buildings; perhaps they'll be able to put their hands on some ancient vault filled with gold ingots. But they will lack the abundance of rare metals that we are used to and an even more serious limit will be the vegetable charcoal they will need in order to process the metals they scavenge. For them, most metals will always be rare and expensive. So, we can imagine that future humans will have to settle back to simple ways of living. Perhaps they will have to revert to hunting and gathering, but they may also be able to cultivate the land, even though we can't be sure that this future climate will be stable enough for that. Whatever the case, it will be a low-tech world. It doesn't look very much like an exciting future. Hunting and gathering by hominids has been going on for millions of years, always more or less the same. And agricultural societies are static, hierarchical, oppressive, and have been described as "peasants ruled by brigands." (attributed to Alfred Duggan). Is this what we should expect for the next 100,000 years? Just new peasants ruled by new brigands? Not necessarily. The fact is that humans can evolve. And they can evolve fast, substantially changing even in a few thousand years. The recent results of genomic research opened up a Pandora's box of discoveries. Our ancestors did evolve, oh, yes, they did!. The idea that we are still the same guys who hunted wooly mammoths during the ice age badly needs an update. We are similar to them, but not the same; not at all. A lot of things happened to humans during the transition from hunter-gatherers to farmers and pastoralists. We lost a good 3-4% of the cranial capacity, many of us became able to digest milk, we developed resistance to many diseases and the capability to live on a diet that was very different and much poorer than that of hunters and gatherers. These changes were genetic, resulting from the need of adapting to a different lifestyle and to a more complex society. So, if humans can survive the great crash and keep going for more millennia - perhaps many more millennia - there is plenty of time for more and deeper changes. Actually, humans are going to change a lot over such a long time span. How will they change? Of course, it is a difficult question, but we can at least identify some trends. In particular, we can imagine that some present tendencies that today we tend to see as mainly cultural, may eventually become enshrined in the human genome. Something that might happen is that humankind could speciate. That is, they could gradually branch out into two or more separate species. We have already seen a considerable divergent specialization among at least three different human groups: hunters/gatherers, shepherds, and farmers. Each of these three branches exploits different ecological/economic niches and has developed cultural (in part also genetic) adaptations to different lifestyles. Extrapolate this trend into the far future and you have two (or even three) species of hominids; repeating the situation that was common long ago, when different hominids co-existed at the same time. Neandertals and Sapiens, indeed, lived in overlapping times but they were different species and they had limited (although non zero) capabilities of interbreeding with each other. If the future will see more than one species of "homo", then each one will independently specialize and adapt to their environment. Hunters/gatherers will probably revert to the already optimized tool makers of the Pleistocene. Shepherds will become more and more adapted to their nomadic lives in areas which are poorly productive for agriculture. Farmers will keep living in villages and cities at high population densities. They will build cities, temples, and palaces. They will create armies, fight against each other, and build up kingdoms and empires. And it is there that things have a chance of getting more interesting. The past genetic and cultural evolution of agricultural humans has been all along the development of more "social" characteristics: an increase in the ability of living in large groups of highly differentiated categories (farmers, soldiers, craftsmen, priests...). If the trend continues, we may see cultural characteristics becoming more and more embedded in the genome of the species. In the (very) long run, we could see the birth of a "eusocial" humankind; the same kind of social structure of bees, ants and termites. That is, a society of sterile workers, sterile soldiers, "queens" that generate most individuals, and dumb males (on this last characteristic, we are already pretty advanced). It is not impossible. There already exist eusocial mammals, one is the naked mole rat of Central Africa. So, maybe the future for humans will not involve advanced technological gadgetry (of which we are so fond) but, rather, advanced social engineering, with the development of more and more efficient and stratified societies. Is the future of humans a beehive? We can't say, but it looks more and more likely that some old ways of seeing the future are now wholly obsolete. Likely, our descendants will have no flying cars; no spaceships, no robot butlers bringing the martinis to them as they relax on the pool's edge. But the powers of a human hive could still be impressive even without the gadgetry of our times. Maybe the "superintelligence" that some see as developing in our computers could actually appear in an eusocial human organization (this is one of the themes of Frank Herbert's novel "Hellstrom's Hive"). Will these superintelligent entities avoid the mistakes that we have done? We can't say; of course, it is a future that none of us will ever see. But it is a fascinating future and the interest in the future is part of the fact of being human. Perhaps, our hive descendants will have think in the same way. George Mobus' take on the future evolution of humankind. George Mobus contributed to the discussion started by RE of the doomstead diner with these considerations that I am reproducing here with his consent. With respect to ideas about extinction as a possible outcome, I would like to reiterate that extinction of species is apparently inevitable. Some 99% of all species that have ever lived (it is estimated) have gone extinct, and the current batch of biodiversity is probably no more than one million years old, on average. Human evolution is still underway, but is tightly coupled currents with cultural evolution, that is co-evolution is driving mutual selection in both the biological species and the artifactual, human-built world. Biological evolution is still very much slower than cultural innovation owing to a lower generation of novelty rate (e.g. genetic mutation). Nevertheless, we humans are still undergoing biological adaptations (not individual adaptations) to cultural influences. The capacity for evolvability, however, affords many kinds of opportunities for species to radiate even when occupying the same geographic and ecological environment (see: http://en.wikipedia.org/wiki/Sympatric_speciation and an article in Scientific American, Vol 312, Issue 4, on "The Extraordinary Evolution of Cichlid Fishes," http://www.scientificamerican.com/article/the-extraordinary-evolution-of-cichlid-fishes/). All of this leads me to expect (and hope) that some form of hominid, specifically derived from our current genus, will survive the almost certain change in the cultural devolution due to decline of energy and the environmental stresses due to climate change and, given enough time, produce a new species of Homo, indeed perhaps several new species, over the next several million years. Technically, then, Homo sapiens, as we understand our species now, will be extinct even while new species carry on under the future selection conditions that will exist. All of which is well and good, and stimulating to think about. But I still think the immediate concern is for the dynamics of collapse. Can collapse be "managed" so as to minimize, in some practical way, the suffering that will attend it? 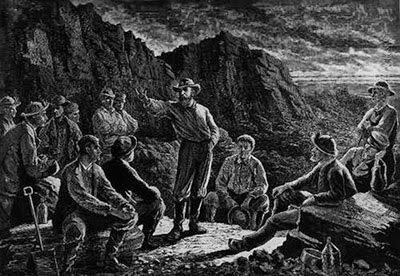 Albert Bates also commented on this subject at "PeakSurfer"
(*) The reasons of the popularity of the concept of "Near Term Extinction" are a fascinating subject in themselves. One reason could be that many of us are truly fed up with the many awful things we are doing to this planet (and to ourselves). So much, that human extinction doesn't look so bad; it actually becomes almost a relief. But near term extinction could be seen as an extreme form of BAU-ism. That is, some people seem unable to conceive that there could be life for humankind in forms different than the present one. Some of them take refuge in a form of technological BAU, hoping that the present society can be maintained forever by means of technological progress. Others seem to realize the impossibility of the technological dream and hence take refuge in self-annihilation. It is a little like the many Japanese citizens who committed suicide after the surrender of Japan at the end of the second world war. They couldn't conceive a world where Japan had been defeated, and so they decided to leave it. (**) The considerations made here about the homo sapiens species are long term enough that they could be applied to other, similar species. So, if humans go extinct, the path to eusociality could be taken by other primates; such as chimps and bonobos (the latter may well be more advanced than us in social technologies). Even some non-primate species, hyenas for instance, are very advanced in terms of social organization. And then, there are mammals which are already eusocial. Could naked mole rats take over the planet? Why not? The recent oil price crash signals the impending demise of the oil and gas industry as a major world energy producer. That should be a good thing, in principle, but something wicked may still come out of the process. With the ongoing collapse of the oil prices, we can say that it is game over for the oil and gas industry, in particular for the production of "tight" (or "shale") oil and gas. Prices may still go back to reasonably high levels, in the future, but the industry will never be able to regain the momentum that had made its US supporters claim "energy independence" and "centuries of abundance." The bubble may not burst all of a sudden, but it surely will deflate. So, what's going to happen, now? The situation is, to say the least, "fluid". A great rush is ongoing to convince investors to place their money where there is still some chance to make a profit. I think we can identify at least three different strategies for the future: 1) more of the same (oil and gas) 2) a push to nuclear, and 3) a push for renewables. Let's see to examine what the future may have in store for us. 1) A push for more gas and more oil. The oil&gas industry has not yet conceded defeat; on the contrary, it still dreams of centuries of abundance (see, e.g. this article on Forbes). It seems unthinkable that investors would still want to finance uncertain enterprises such as squeezing more oil from exhausted fields or, worse, from difficult and expensive technologies such as coal liquefaction. But you should never underestimate the power of business as usual. If people feel that they absolutely need liquid fuels, then they will be willing to do anything to get liquid fuels. The main problem with this idea is not so much its technical feasibility. 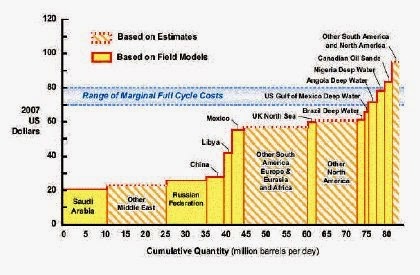 By throwing every resource at hand at the task (and beggaring the whole economy in the process) it would not be impossible to fool peak oil for a few more years. The problem is a different one: it is with climate change and with the fact that we are running out of time. If we keep burning hydrocarbons, we just can't make it: the industrial society cannot survive the resulting warming and the associated troubles. That is true if we keep burning at the "natural" rate, that is along the bell shaped curve. Imagine if we try to keep growing, instead (as all politicians in the world say we should). 2. A new push for nuclear. This option would not be so bad as the first, more hydrocarbons. At least, nuclear plants do not directly generate greenhouse gases and we know that it is a technology that can produce energy. Nevertheless, the hurdles associated with its expansion are gigantic. The first and foremost problem is that the uranium mineral production is not sufficient for ramping up nuclear energy from a few percent of the world's primary energy production to a major fraction of it - to be able to do that would require investments so large to be mind boggling. 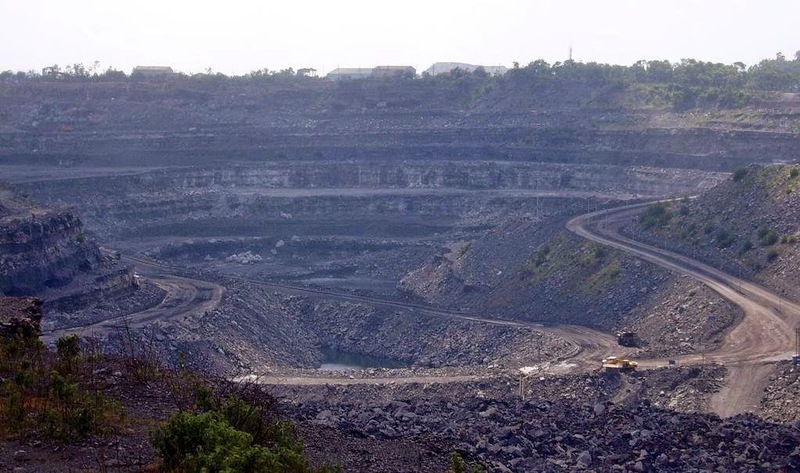 To say nothing about the need for rare minerals in nuclear plants: beryllium, niobium, hafnium, zirconium, rare earths, and more; all in short supply. Then, there are all the nightmarish problems of nuclear waste disposal, safety, and strategic control. (*) "Something wicked this way comes" is mainly known today as the title of a 1962 novel by Ray Bradbury. 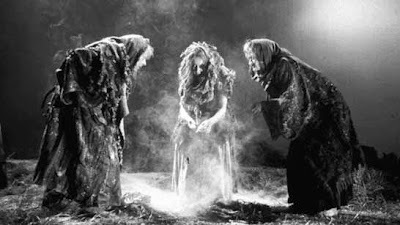 Actually, it comes from Shakespeare's Macbeth.. The Great Oil Game: Resource Crisis in Russia? Weekly pageviews of "Resource Crisis." 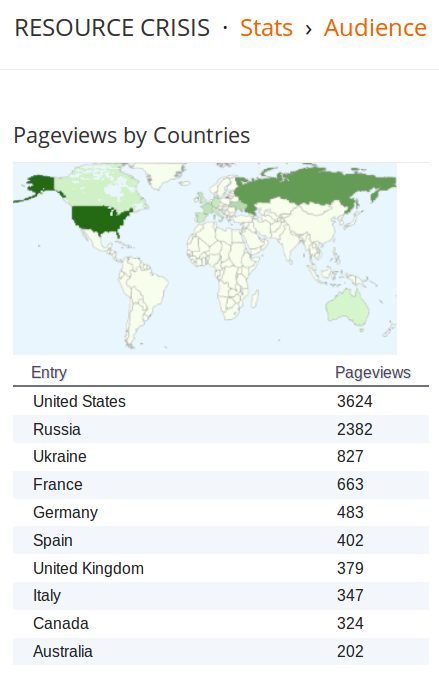 My blog seems to be having a remarkable success in Russia, but do the Russians understand the problem of resource depletion? Complex structures, such as states and empires, are always prone to collapse and they usually give little or no previous warnings. The collapse of the Soviet Union, indeed, had not been predicted by anyone and it came completely unexpected. 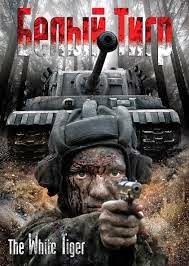 In the present crisis, instead, Western analysts seem to have fallen in the opposite mistake, predicting the rapid demise of the Russian Federation. But that didn't happen. On the contrary, the Russian economic system showed a remarkable resilience and it strongly rebounded after a bad moment, last year. (image below from Bloomberg). So, predicting collapses is always very difficult in a world's situation that looks more and more like a Russian Roulette (an appropriate name in this context), but played with nuclear weapons. It might well be that some states which at present look very solid could be the ones to experience a sudden and unexpected Soviet-style implosion (let me not say which ones these states could be). Let's go more in depth in this matter. The collapse of Russia was expected in the West mainly as the result of the recent crash of the world's oil market. That repeated the situation of the late 1980s, when the old USSR was bankrupted by a similar effect: a rapid fall of oil prices which strongly reduced the revenues from oil exports. However, the present situation is not exactly the same. The main difference is related to the perspectives of the oil market. In the 1980s, low oil prices were generated by new oil fields entering the market after the first oil crisis - for instance the North Sea. The supply increased and prices collapsed around 1985 at levels that today we can't even dream any more - around 20$-30$ in current dollars - and they remained there for nearly two decades. 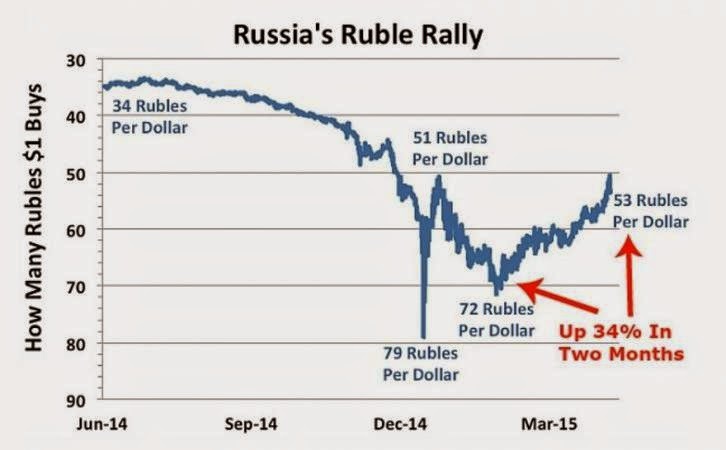 The values shown in the figure are very uncertain but, as long as oil prices do not fall below US 40 $, Russia should be able to survive; and they seem to be doing exactly that. In the short term, at least, the "oil weapon" that some analysts saw as unleashed against Russia, failed to obtain its purpose. Certainly, however, the question of the long term management of the Russian mineral resources cannot be ignored. There are elements indicating that Russia's oil production is peaking this year and, according to Ron Patterson, USA and Russia may peak together. How would their respective economies react to that? More in general, how will Russia manage the unavoidable long term depletion of the country's resources? What do the Russians want to do with their mineral wealth? Who is going to use it and for what purpose? Planning on the basis of the fundamental elements of the depletion process (*) would be the best for Russia to avoid a future resource crisis. (*) The problem of oil depletion is very poorly understood everywhere in the world, but, according to my personal experience, it may be that it is even less understood in Russia. For instance, over more than a decade of existence of the Association for the Study of Peak Oil (ASPO) there have been many national chapters (including ASPO-Italy). However, there has never been an ASPO-Russia (if you google for "ASPO Russia" you'll find the Astrakhan Shipbuilding Production Association, which is not exactly the same thing! ).